John Gresham Machen was born July 28, 1881 and died January, 1937. 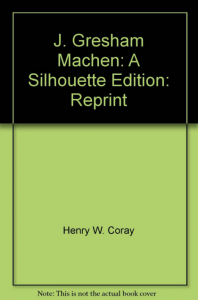 Machen was another great Greek teacher, a Presbyterian, at Princeton Seminary in the days of B.B. Warfield, Charles Hodge and Geerhardus Vos.